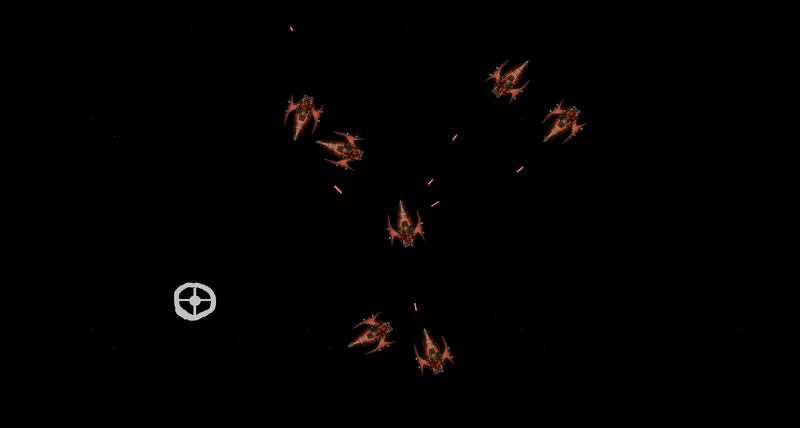 Deep space exile has a goal of being a new type of space game. By combining rpg elements with systems tweaking the game becomes much more then a button masher. The choices you make before a battle can change everything! Should you apply more power to the shields? Will your fusion reactor be able to keep up in the heat of battle? Should you reduce your phasers output to compensate? The video above shows many of our game features that are currently implemented. Shield command system - This allows you to turn off shields when nearing depletion or when power is running low and you want only specific shields up. Fire command system - This has a similar task as the shield command. You may not wish to use all weapons all the time. Some may hurt your friends others may just be overkill. Maintenance window - This is where you will repair and modify equipment as well as throttle power supply to each system. Inventory - Displays your ships active systems and current cargo hold. Mining - Resource asteroids provide raw crafting material for use in your matter reactor. What is not shown? We still are implementing the crafting stations, trade windows and skill progression. While this game had no levels you will collect modifiers as time goes on so you may upgrade your ship or perform certain task with out penalty. What you want to know more about power management? That takes years in engineering school! Ok fine we can do a crash course since you are so eager to hop in a ship and go. The power management system shown in the maintenance window consist of three main components. The fusion reactor converts fusion cells into energy over time. In the case of this ship we get 3000 Units per cell created at a rate of around seven units per second. This will charge our power reserve. The Power is the second main component and in this case hold a maximum of 600 units that can be used on demand. Once this is charged it would be wise to slow the fusion reactor to a crawl. The power cell can be changed out for a larger model but they are massive and would impact the performance of the small ship we currently pilot. The final component is the supply throttle. This allows us to regulate how much power is diverted to each system from 0% to 100% of that systems max power draw. Systems that receive reduced power will react in different ways. Shields will recharge slower, lasers will have reduced damage output and propulsion wont react as quickly. It takes practice to balance the needs of your ship as a battles evolve. With some practice you may just become the engineer I know you can be. Shortly following this news post we will be releasing our final public demo until the artist has finished his work. During this time we will be fine tuning the AI and finishing the remaining systems including additional ships to fly, enemy battle experience and fine tuning the diplomacy AI. Additionally we will be launching on steam greenlight and kickstarter in the following weeks. We really appreciate you taking the time to read a little about our game and value all feedback bad and good. Hello. It is currently 2:30 am and I am preparing for our nightly stress test. I thought nothing of it but some people expressed interest. Game dev slows during move.